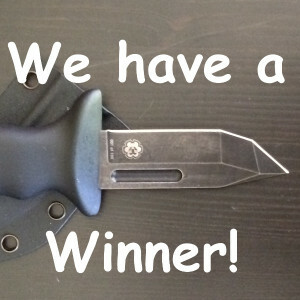 The winner has been picked and knife #001 (and all the rest) packed for shipment! As always, privacy is paramount here, so all that can be said is that the winner is from the Grand Canyon State. The drawing was conducted using your email addresses by the Internet Random Number Generator’s drawing service, and if you’d like to check to confirm whether you did or didn’t win, just click here and punch in the email you used to pay for your knife. If you didn’t use an email, look for your phone number (no spaces or dashes). All preordered knives will ship tomorrow. A hearty THANK YOU to everyone who ordered a Triple-O knife! Don’t have one yet? Why not? Get one now!